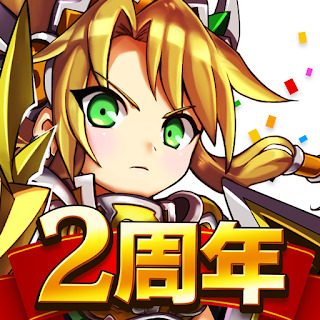 When you start the game now, you can turn up the intense rare game up to 95 times free just by clearing a simple stage that you can challenge quickly. Super rare [Star 5] monster free opportunity chance! ▼ The decisive factor of the game is skill shooting! By making a specific shape with a piece, you can activate a powerful skill every turn. Each monster has its own skill. Let’s combine shapes well so that skills can be activated at the same time, aim for great damage. ▼ Individual strongest decision battle! A nationwide real-time battle! The tournament is held every day in the arena league. You can play a one-on-one goblin battle. By participating, powerful monsters of the arena league are available as rewards. 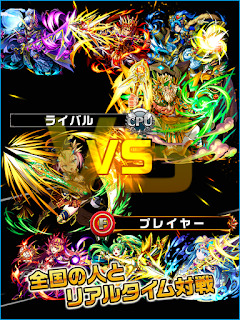 ▼ Real time Four people fight has lots of merits! Up to 4 people can play with nearby people at the same time. When everyone goes to the quest, the item drop rate is up to 4 times! If you take him to a friend’s quest, it will consume stamina 0! Let’s cooperate together and let the game proceed favorably. ▼ Let’s release true power with sudden arousal! Sometimes a monster suddenly awakens with a clue during battle. When the monster wakes up, it remembers the powerful abilities that he had never had before releasing the true power. 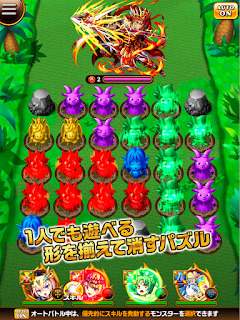 Since all monsters have the potential to be awakened, let’s take various monsters to the quest. Let’s adventure the vast world! Where to proceed is up to you. You can freely explore the five continents of fire, water, tree, light, darkness. On each continent, super powerful monsters are waiting so let’s defeat the enemies and make them friends. 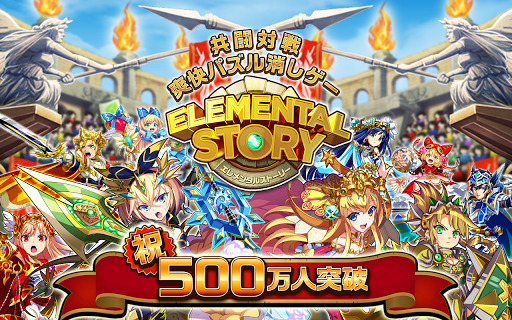 ▼ Download “Elemental Story” for free! It is possible to enjoy the game for free until the end. RPG is suitable for real-time battle and cooperative play that anyone can easily play. By rearranging the pieces with your fingers in time, you can have more than one skill (Special Moves) at a time, so you can enjoy a wide range of layers with a refreshing feeling. Quest which is the feature of elest sorts 30 pieces in the screen to U shape, cross, etc, and arranges the pieces to the specified shape of the monster’s skill such as special ability and recovery and it will defeat the enemy. 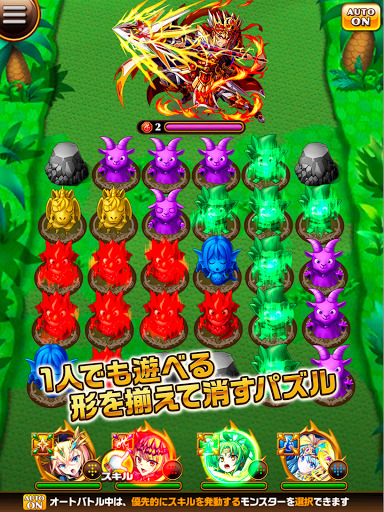 Since the position where the piece can be placed differs depending on the obstacle existing in the quest, selecting a monster with suitable skill is the key to the strategy. 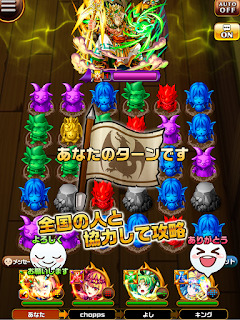 In addition to being able to advance alone, cooperative play that can play up to four at the same time can be possible with one-on-one real-time battle with players nationwide, friends who are together, or a third party in a nearby position. You can enjoy it as a communication tool as well as a game. ▼ Elemental Story (Eleost) is recommended for this person! ■ I like puzzle RPG! ■ I want a game that I can fight with my friends! ■ I want to do an interesting game anyway! ■ Connect and disappear, want to play refreshing puzzle game! · I want to nurture a character through a fighting puzzle game like ELEMENTAL STORY through 4 player match etc.